Spring Cleaning 101 - What's Your Decluttering Personality? There's just something about spring that really gets my cleaning motivation into full gear. I think part of it is being able to open doors and windows and let fresh, warm air blow through while I'm tidying and cleaning up. You just don't get the same effect in the winter when you have to keep everything closed up and protected from the bitter cold. Not only am I looking forward to spring cleaning, but also decluttering and organizing. Thankfully, due to our recent move, I've had a chance to really, REALLY sort through our belongings and eliminate things that leave our home cluttered. I've learned what it takes for ME personally to get myself into gear, and it inspired me to help YOU figure out what type of organizer you are, and how you can benefit from your strengths (and weaknesses) when it comes to eliminating physical, mental and even digital clutter from your home & your life. 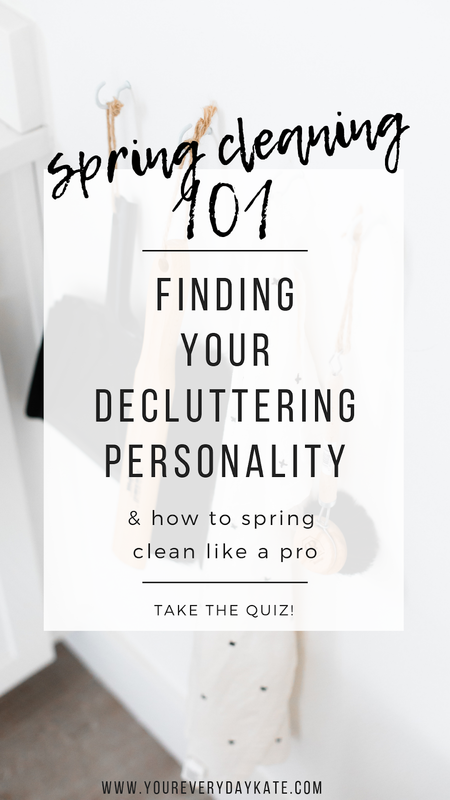 So, in addition to today's blog post, I wanted to create a fun little quiz, along with some personalized advice for each "type" of personality when it comes to decluttering, cleaning and organizing. 1. When trying to decide whether you want to give something away or get rid of it, look at that item in the light of your current lifestyle and be honest with yourself about the value that item has now. 2. Once you put something into a trash or donation bag - don't take it back out! Don't let yourself second-guess your gut feeling. Most things can be replaced, and for your items that do have significant sentimental value, there is a way to organize and store those things. No one is forcing you to throw away truly meaningful items. But for the things you feel you can part with, don't let yourself go back to them and consider taking them back. Break up with those things for good! Keep track of your answers, and see below for the results! 1. The current state of your home is...? c. some areas are messier than others. a. feel the need to clean/tidy constantly! 3. Which of these stresses you out the most? 4. Think of the most peaceful area of your home, what makes it that way? a. "We don't need ONE more piece of junk in this house..."
b. "Save that! We might need it eventually..."
c. "I'll get it done later." d. "Who on earth is Marie Kondo??" As a purger, you have NO problem getting rid of stuff and eliminating clutter in your life & home. But a problem you often run into, is that ANY type of clutter or mess gets you annoyed and stressed out. As someone who loves things to be tidy, you get bogged down with cleaning up and feel like you spend more time worrying about the state of your home than you do enjoying living in it. Keep a cleaning schedule in view, and give yourself grace when it comes to letting things get a little bit messy. Focus on one area of the home, or one cleaning task per day. If there are larger areas of your home that get cluttered more easily, make those a monthly focus. 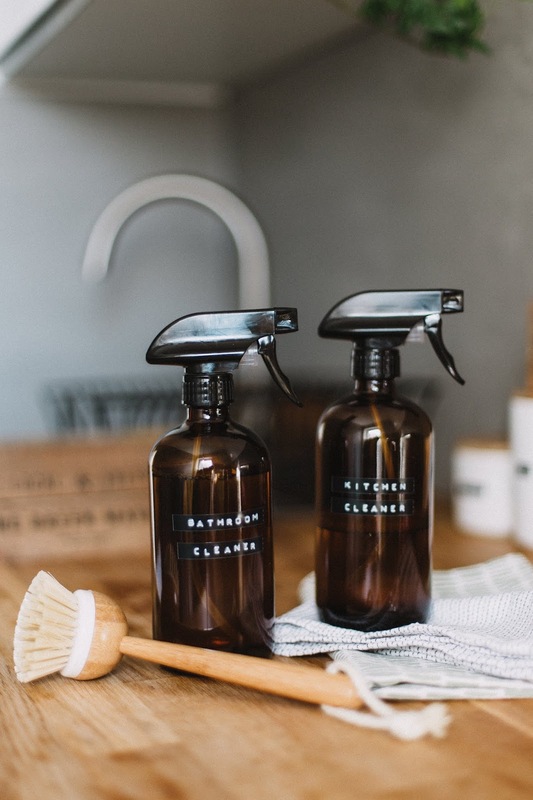 Rome wasn't built in a day; having a healthy rotation of cleaning & decluttering different areas of your home will allow you to get the job done without feeling like it all has to be done RIGHT NOW. I'm using this scary term lightheartedly here - surely you're not a true hoarder, but you HATE getting rid of stuff (but you know you need to) - clothes, toys, even things like receipts and kids craft projects or artwork. You're a sentimental person who sees possibility in everything, and hates to throw away stuff that COULD potentially have meaning or purpose. But deep down, you know that this accumulation of "things" doesn't make you any more happy, or make your home feel more peaceful. Something needs to change, but you're unsure of what to do. Work on one area at a time, starting with the area in your home where you want to feel the most peace - the place where you choose to relax most often. For me, a clean & tidy bedroom means I can relax and sleep peacefully knowing I'm not surrounded by clutter. Then, break it down by section, depending on how much you have stored in that specific room. For example, if your first place is your bedroom, start on your bedroom closet, and then choose one thing to start with (shoes, clothes, or anything else stored in the closet). Follow tip number 1 about being honest with yourself about what is important, then throw it away (or donate) and never look at it again! 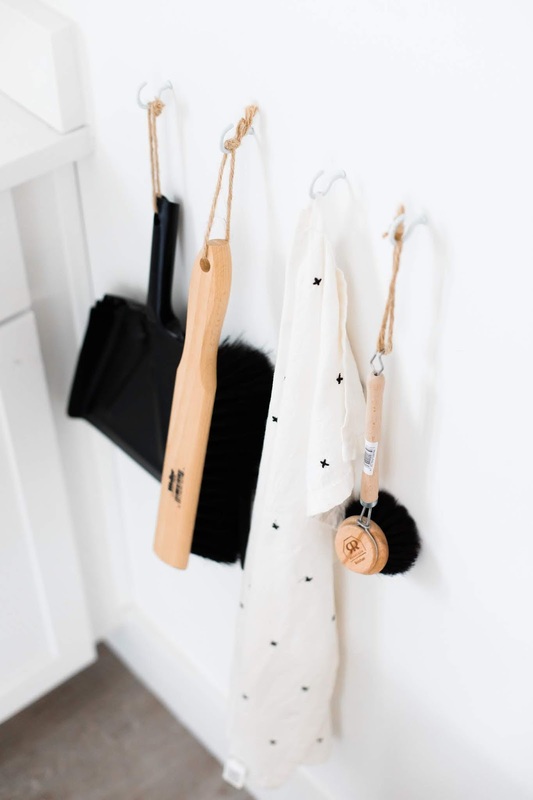 You know you're living in a bit more clutter than you'd like to, and you have an idea of what needs done around your home, but you just can't seem to find or make the time to get into a solid routine and eliminate that clutter. Whether you're a busy mom, working long hours, or just tired after a long day, you always find excuses - which are valid, by the way! - that hinder you from taking care of some much needed tidying in your home and your life. You lack motivation! Try to see the end result - the product of your hard work - and how your life might change if you DID take the time to do a little bit per day. It doesn't have to require hours of your time per week, or even per month! Use those "if, then" statements as your motivation. For example, IF you go through the stack of junk mail at the dining room table, THEN you will have more space to all sit down as a family for breakfast/lunch/dinner. IF you go through your child's baby clothes and donate or throw away things that are old or unneeded, THEN there will be more space in their closet, and less items to go through later on as they get older and bigger. Start with small tasks. All you know is that your life is cluttered, and that's about it. You have no idea what to do about anything, you might not even know that this whole "decluttering" thing is pretty much a trend right now. All you know is that something should probably be done about all of the "stuff" that's taking up space in your home and life. Start with what you DO know. What feels most cluttered on a daily basis, and what constantly annoys you? Start there, and then figure out why it bothers you - too cluttered with junk? Important or meaningful things that need organized? Begin in the area of your home that you use the most, or where you find yourself most often getting frustrated. Once you figure out why it bothers you, use the tips above to eliminate trash, donate items that you no longer use, and then find the best way to re-organize. It doesn't have to be a time-consuming or confusing process, all you need to do is take it step by step! Which personality type are you? Did you find these tips helpful? 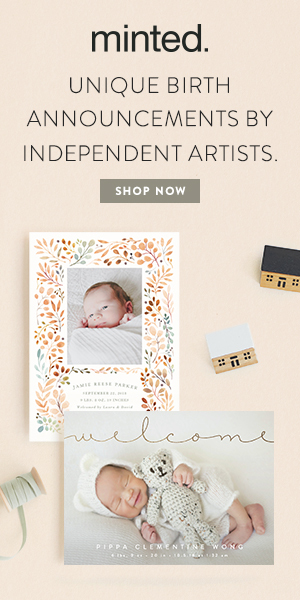 I'm a 26 year-old wife and mom making home in the suburbs of Raleigh, North Carolina. If you are a millennial mom looking for advice, tips & tricks, new recipes, or budget-friendly DIYs - basically anything that can make your life easier - you've come to the right place! Let's be friends and tackle this whole "motherhood" thing together. Weekly Meal Plan 2/5 - 2/11 + FREE Meal Planning Printables!